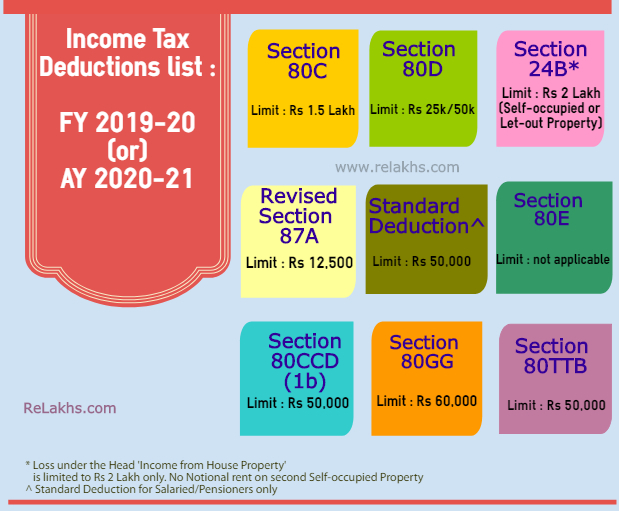 Income Tax Deductions List FY 2019-20 | How to save Tax for AY '20-21? Interim-Budget 2019-20 & the Finance Bill 2019 have been tabled in Parliament. The Income Tax Slab rates have been kept unchanged by the Finance Minister for the Financial Year 2019-20 (Assessment Year 2020-2021). Tax planning is an important part of a financial plan. Whether you are a salaried individual, a professional or a businessman, you can save taxes to certain extent through proper tax planning. The Indian Income Tax act allows for certain Tax Deductions / Tax Exemptions which can be claimed to save tax. You can subtract tax deductions from your Gross Income and your taxable income gets reduced to that extent. 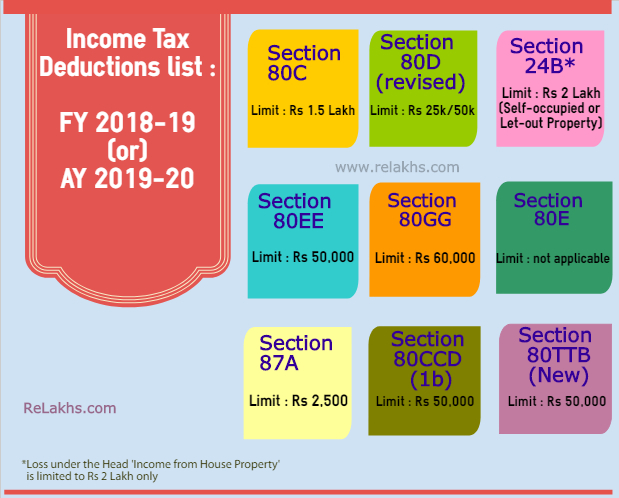 In this post, let us go through the Income Tax Deductions List FY 2019-20, best ways to save taxes and best tax saving options for FY 219-20 / AY 2020-21. I hope you find this list useful and helps in planning your taxes well in advance. 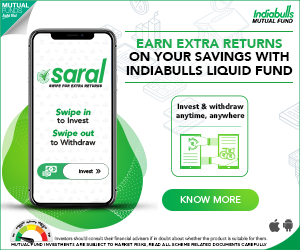 Income Tax benefits are currently available on Tier-1 deposits only (FY 2018-19). The contributions by the government employees (only) under Tier-II of NPS will also be covered under Section 80C for deduction up to Rs 1.5 lakh for the purpose of income tax, with a three-year lock-in period. This is w.e.f April, 2019. Contribution to annuity plan of LIC (Life Insurance Corporation of India) or any other Life Insurance Company for receiving pension from the fund is considered for tax benefit. The maximum allowable Tax deduction under this section is Rs 1.5 Lakh. Employee can contribute to Government notified Pension Schemes (like National Pension Scheme – NPS). The contributions can be upto 10% of the salary (salaried individuals) and Rs 50,000 additional tax benefit u/s 80CCD (1b) was proposed in Budget 2015. 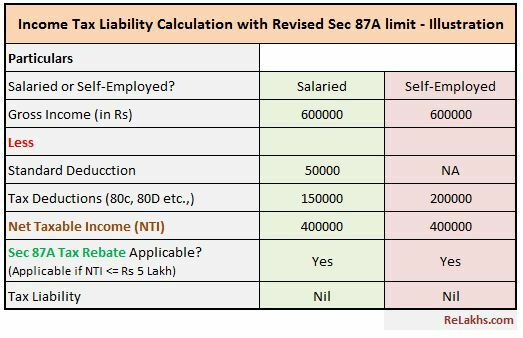 As per the Budget 2017-18, the self-employed (individual other than the salaried class) can contribute up to 20% of their gross income and the same can be deducted from the taxable income under Section 80CCD (1) of the Income Tax Act, 1961. To claim this deduction, the employee has to contribute to Govt recognized Pension schemes like NPS. The 10% of salary limit is applicable for salaried individuals only and Gross income is applicable for non-salaried. 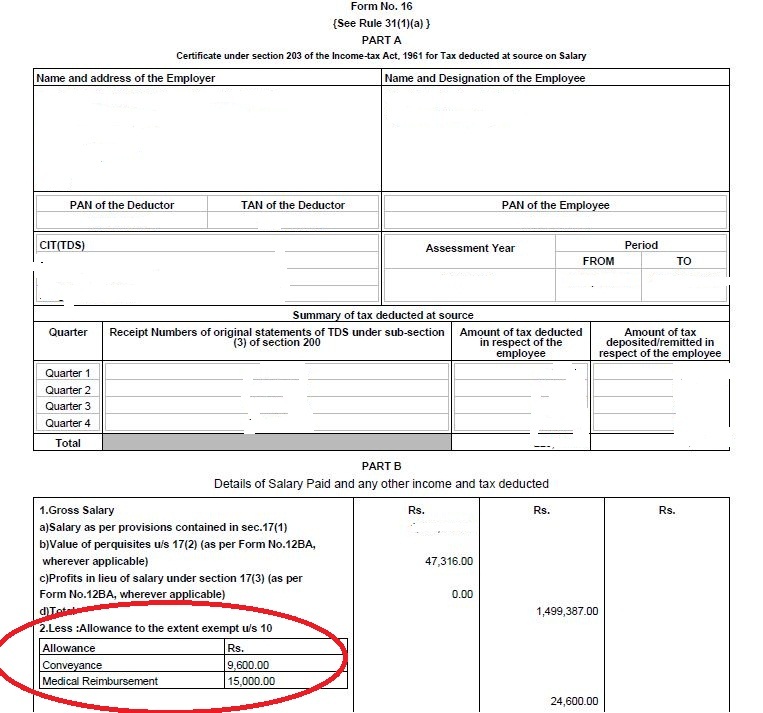 The definition of Salary is only ‘Dearness Allowance.’ If your employer also contributes to Pension Scheme, the whole contribution amount (10% of salary) can be claimed as tax deduction under Section 80CCD (2). The Centre will now contribute 14% of basic salary to Govt employees’ pension corpus, up from 10%. This is w.e.f April, 2019. 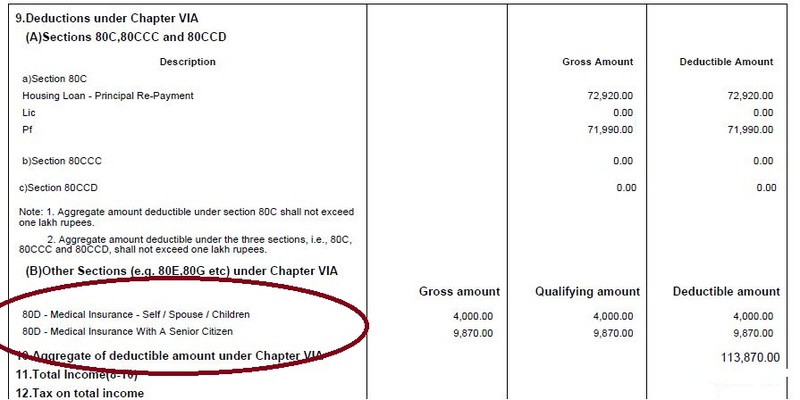 Kindly note that the Total Deduction under section 80C, 80CCC and 80CCD(1) together cannot exceed Rs 1,50,000 for the financial year 2019-20. The additional tax deduction of Rs 50,000 u/s 80CCD (1b) is over and above this Rs 1.5 Lakh limit. Contributions to ‘Atal Pension Yojana‘ are eligible for Tax Deduction under section 80CCD. Health Insurance & Senior Citizens : In Budget 2018, it has been proposed to raise the maximum tax deduction limit for senior citizens under Section 80D of the Indian Income Tax Act 1961. The limit of tax deduction allowed for FY 2017-18 for senior citizens was Rs. 30,000 which was increased to Rs 50,000, from FY 2018-19 (AY 2019-20) onwards. 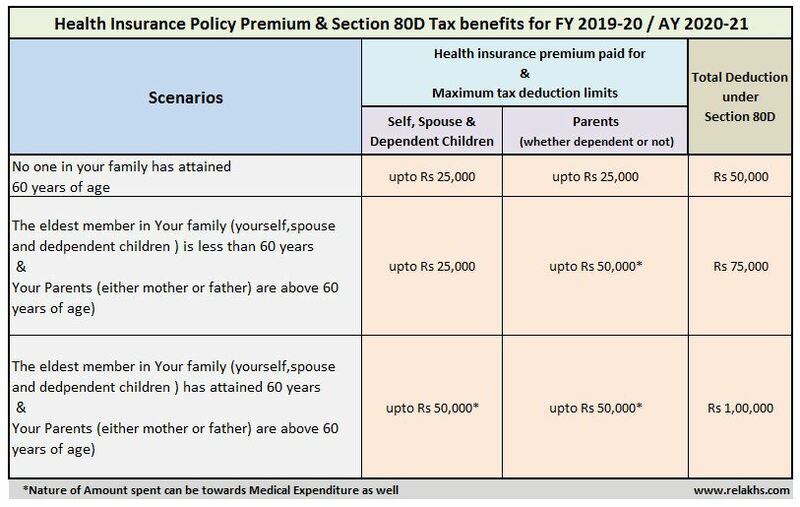 Under Section 80D an assessee, being an individual or a Hindu undivided family, can claim a deduction in respect of payments towards annual premium on health insurance policy, preventive health check-up or medical expenditure in respect of senior citizen (above 60 years of age). As of FY 2017-18, only Very Senior Citizens (who are above 80 years of age), can claim a deduction of up to Rs 30,000 incurred towards medical expenditure, in case they don’t have health insurance. The Budget 2018 has increased this to Rs 50,000 and also allowed the same flexibility to senior citizens. Even individuals who pay premiums for their dependent senior citizens parents can claim the additional deduction on health insurance premium (or) medical expenditure. In case of single premium health insurance policies having cover of more than one year, it is proposed that the deduction shall be allowed on proportionate basis for the number of years for which health insurance cover is provided, subject to the specified monetary limit. The below limits are applicable for Financial Year 2019-2020 (or) Assessment Year (2020-2021) u/s 80D. Preventive health checkup (Medical checkups) expenses to the extent of Rs 5,000/- per family can be claimed as tax deductions. Remember, this is not over and above the individual limits as explained above. (Family includes: Self, spouse, parents and dependent children). You can claim up to Rs 75,000 for spending on medical treatments of your dependents (spouse, parents, kids or siblings) who have 40% disability. 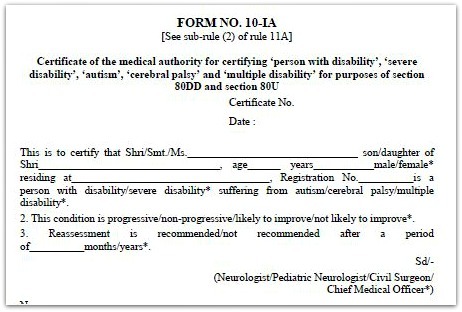 The tax deduction limit of upto Rs 1.25 lakh in case of severe disability can be availed. To claim this deduction, you have to submit Form no 10-IA. An individual (less than 60 years of age) can claim upto Rs 40,000 for the treatment of specified critical ailments. This can also be claimed on behalf of the dependents. The tax deduction limit under this section for Senior Citizens and very Senior Citizens (above 80 years) has been revised to Rs 1,00,000 w.e.f FY 2018-19. To claim Tax deductions under Section 80DDB, it is mandatory for an individual to obtain ‘Doctor Certificate’ or ‘Prescription’ from a specialist working in a Govt or Private hospital. Tax Benefits of Rajiv Gandhi Equity Savings Scheme (RGESS) under section 80CCG has been withdrawn. However, if an investor has invested in the RGESS scheme in FY 2016-17 (AY 2017-18), they can claim deduction under this Section until AY 2019-20. From FY 2017-18, the Tax benefit on loan repayment of second house is restricted to Rs 2 lakh per annum only (even if you have multiple houses the limit is still going to be Rs 2 Lakh only and the ceiling limit is not per house property). The unclaimed loss if any will be carried forward to be set off against house property income of subsequent 8 years. In most of the cases, this can be treated as ‘dead loss‘. I believe that this is a major blow to the investors who have bought multiple houses on home loan(s) with an intention to save taxes alone. Municipal taxes paid, 30% of the net annual income (standard deduction) and interest paid on the loan taken for that house are allowed as deductions. 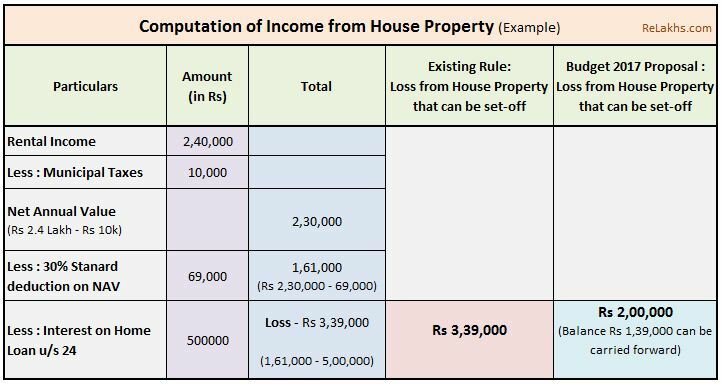 After these deductions, your rental income can be NIL or NEGATIVE and is called ‘loss from house property’ in the latter case. Such loss is currently allowed to be set off against other heads of income like Income from Salary or Business etc. which helps you to lower you tax liability substantially. Currently (FY 2018-19), income tax on notional rent is payable if one has more than one self-occupied house. No tax on notional rent on Second Self-occupied house has been proposed. So, you can now hold 2 Self-occupied properties and don’t have to show the rental income from second SoP as notional rent. This is with effective from FY 2019-20. If you take any loan for higher studies (after completing Senior Secondary Exam), tax deduction can be claimed under Section 80E for interest that you pay towards your Education Loan. This loan should have been taken for higher education for you, your spouse or your children or for a student for whom you are a legal guardian. Principal Repayment on educational loan cannot be claimed as tax deduction. There is no limit on the amount of interest you can claim as deduction under section 80E. The deduction is available for a maximum of 8 years or till the interest is paid, whichever is earlier. This was a new proposal which had been made in Budget 2016-17. The same will be continued in FY 2018-19 / AY 2019-20 too. First time Home Buyers can claim an additional Tax deduction of up to Rs 50,000 on home loan interest payments u/s 80EE. The below criteria has to be met for claiming tax deduction under section 80EE. The home loan should have been sanctioned during FY 2016-17. Loan amount should be less than Rs 35 Lakh. The home buyer should not have any other existing residential house in his name. Such eligible home buyers can claim exemption of Rs. 50,000/- for interest on home loan under section 80EE from assessment year beginning from 1 st April 2017 and subsequent years. Contributions made to certain relief funds and charitable institutions can be claimed as a deduction under Section 80G of the Income Tax Act. This deduction can only be claimed when the contribution has been made via cheque or draft or in cash. In-kind contributions such as food material, clothes, medicines etc do not qualify for deduction under section 80G. The donations made to any Political party can be claimed under section 80GGC. W.e.f FY 2017-18, the limit of deduction under section 80G / 80GGC for donations made in cash is reduced from current Rs 10,000 to Rs 2,000 only. If you want to donate some fund to a political party of your choice, you can do so in cash of up to Rs 2,000. Beyond that you can not donate the amount in cash mode. It can be done through Electoral Bonds. The Tax Deduction amount under 80GG is Rs 60,000 per annum. Section 80GG is applicable for all those individuals who do not own a residential house & do not receive HRA (House Rent Allowance). Rent paid minus 10 percent the adjusted total income. 25 % of the total income. Tax rebate of Rs 12,500 for individuals with taxable income of up to Rs 5 Lakh has been proposed in Interim-Budget 2019-20-18 / AY 2020-21 as well. Only Individual Assesses earning net taxable income up to Rs 5 lakhs are eligible to enjoy tax rebate u/s 87A. For Example : Suppose your yearly pay comes to Rs 6,50,000 and you claim Rs 1,50,000 u/s 80C. The total net income in your case comes to Rs 5,00,000 which makes you eligible to claim tax rebate of Rs 12,500. The amount of tax rebate u/s 87A is restricted to maximum of Rs 12,500. 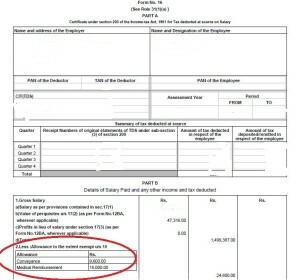 In case the computed tax payable is less than Rs 12,500, say Rs 10,000 the tax rebate shall be limited to that lower amount i.e. Rs 10,000 only. The Tax Assesse is first required to add all incomes i.e. salary, house income, capital gains, business or profession income and income from other sources and then deduct the eligible tax deduction amounts u/s 80C to 80U and under section 24(b) (Home Loan Interest) to come up with the net taxable income. If the above net taxable income happens to be less than Rs 5 lakhs then the tax rebate of Rs 12,500 comes in to the picture and should be deducted from the calculated total income tax payable. For Senior Citizens, the Interest income earned on Fixed Deposits & Recurring Deposits (Banks / Post office schemes) will be exempt till Rs 50,000 (FY 2017-18 limit was up to Rs 10,000). This deduction can be claimed under new Section 80TTB. However, no deductions under existing 80TTA can be claimed if 80TTB tax benefit has been claimed (the limit for FY 2017-18 & FY 2018-19 u/s 80TTA is Rs 10,000). Section 80TTA of Income Tax Act offers deductions on interest income earned from savings bank deposit of up to Rs 10,000. From FY 2018-19, this benefit will not be available for late Income Tax filers. Proposal has been made to not to deduct TDS of up to Rs 40,000 on interest income from Bank / Post office deposits (the FY 2018-19 TDS threshold limit u/s 194A is Rs 10,000). Kindly note that no TDS does not mean no tax liability. Interest income on Deposits (FDs/RDs) is still a taxable income. Interest income from deposits held with companies will not benefit under this section. This means, senior citizens will not get this benefit for interest income from corporate fixed deposits us/ 80TTB. This is similar to Section 80DD. Tax deduction is allowed for the tax assessee who is physically and mentally challenged. Until FY 2017–18, the medical allowance of up to Rs 15,000 was exempted income from your Gross salary. To claim this, you had to submit medical bills to your employer and get the allowance benefit. The medical reimbursement allowance was exempted under Section 10 of the Income Tax Act. 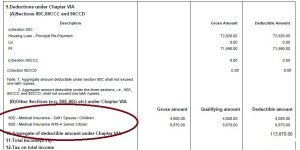 If you have submitted medical bills (to your employer) towards medical allowance and also paid premium towards your mediclaim (health insurance) then both of them will be listed in your Form-16 under different sections as shown below (click on the images to open them in new browser window). From FY 2018-19, a standard deduction of Rs 40,000 in lieu of travel, medical expense reimbursement and other allowances has been proposed for salaried employees and pensioners. To claim this standard deduction, there is no need to submit medical bills to your employer. The current Standard Deduction of Rs 40,000 for FY 2018-19 is proposed to be increased to Rs 50,000 for FY 2019-20. As per this new proposal, irrespective of amount of taxable salary the assessee will be entitled to get a deduction of Rs.50,000 or taxable salary, whichever is less. Thus suppose if a person has worked for few days (or) months and his salary was just Rs 50,000 for a previous year, then he will be entitled to deduction equal to salary being the same amount. If his salary is less, say Rs 30,000 the deduction shall be restricted to Rs 30,000. If salary exceeds amount of Rs 50,000, the deduction shall be restricted to Rs 50,000. It is prudent to avoid last minute tax planning. Do not invest in low-yielding life insurance polices or in any other financial products just to save taxes. It is better you plan your taxes based on your financial goals at the beginning of the Financial Year itself. Plan your taxes from April 2019 itself, instead of waiting until late December 2019 (or) January 2020. I believe that the above list is useful for your Tax Planning purposes. Kindly note that these Income Tax Exemptions are applicable for financial year 2019-2020 (or Assessment Year 2020-2021). Kindly note that the above ‘Income Tax Deductions list for FY 2019-2020’ is based on the proposals presented in the Interim Budget 2019-20. The above details will be updated (if required) after the presentation of the Full Budget by the next Govt. thanks for a clear and concise basic information (on standard deduction, sec 80TTA/B etc) required for my class of tax payers (pensioner senior citizen) for effective tax planning. I find it very useful. thank you. God bless you. Dear Mr Nair.. Glad to know that you find the above info useful and informative. Keep visiting ReLakhs. Hi, My present annual income (gross) is Rs. 17.16 Lacs. Please let me know How to plan for my savings to avoid heavy tax burden for the year FY 2019-20 or AY 2020-21. Thank You. Did you go through the points given in the above article?? You may kindly go through this article..
Glad that you find the information useful. 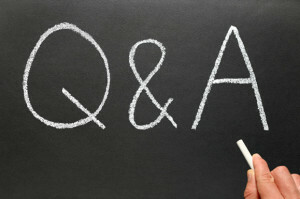 If possible, kindly share the blog posts with your friends. Keep visiting ReLakhs.com. I have recently sold my car and looking to invest the amount (5L). Please do advise where to invest and investment period I am looking for is 24 to 36 months. Needless to say I am looking for a risk free investment. If your objective is safety of capital then you may book couple of bank FDs. Hi Sreekanth, Thanks for your efforts you put in compiling this income tax deductions list for the financial year 2019-20.